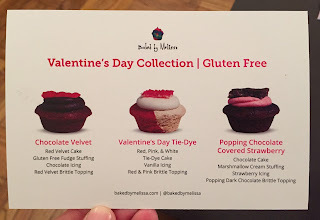 Back in February, we got 3 cupcakes called "Valentine's Day Collections" at Baked by Melissa. 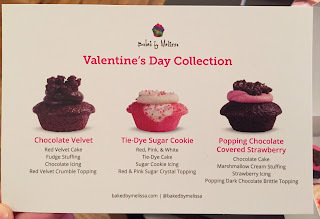 I don't remember if these were available after Valentine's Day, but I'm sure we bought these a couple of days before that day. 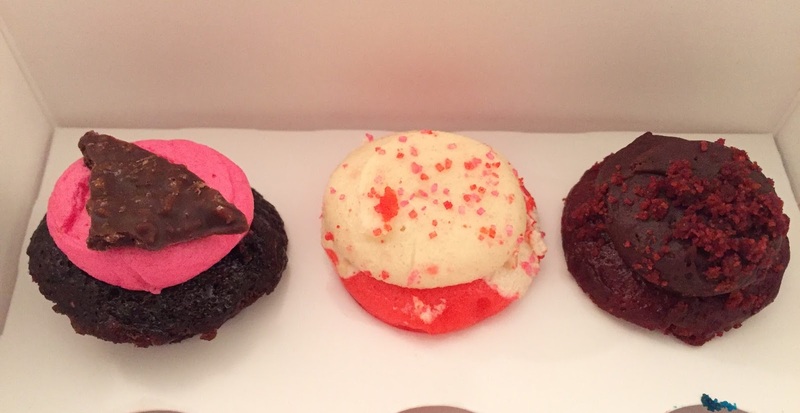 From the left, they're Popping Chocolate Covered Strawberry, Tie-Dye Sugar Cookie and Chocolate Velvet. Popping Chocolate Covered Strawberry: chocolate cake, marshmallow cream filling, strawberry icing, popping dark chocolate brittle topping. 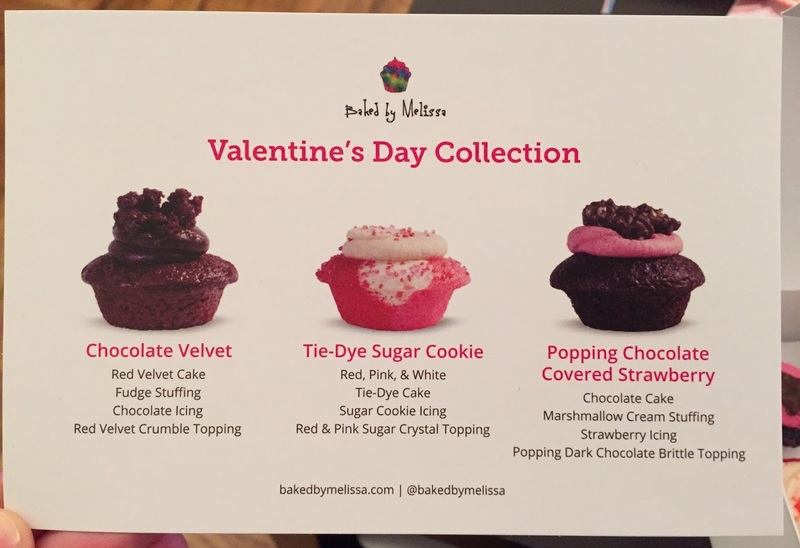 Tie-Dye Sugar Cookie: red, pink & white tie-dye cake, sugar cookie icing, red & pink sugar crystal topping. Chocolate Velvet: red velvet cake, fudge stuffing, chocolate icing, red velvet crumble topping. Some shops sell gluten-free versions, but when we had gluten-free cupcakes, they didn't taste good and the worst was the customer service, so we didn't even think of going there to get these.